Pride comes before a fall. No sooner had Easyjet smugly congratulated itself on an intoxicatingly funny parody of BA’s latest ad campaign (To Fly. To Save – see post below) than its fractious founder and biggest shareholder, Sir Stelios Haji-Ioannu, spoiled all the fun with a headline-grabber of his own. I’ve heard many reasons over the years for launching a new brand, most relating at least tangentially to a perceived gap in the market, or even market in the gap, with the prospect of profit – however evanescent – somewhere in the equation. But never one based entirely on spite and paranoia. Yet this is what the board of Easyjet would have us believe; it took the initiative in disclosing that Stelios was plotting a rival airline, Fastjet, after fruitlessly engaging in years of guerilla warfare with the company he once set up. 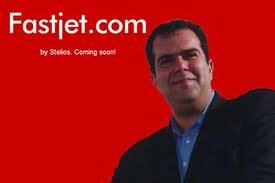 Most commentators take the Easyjet line: that Fastjet is no more than an audacious, if alarming, bluff – a way of continuing Stelios’s war with the Easyjet board by other means, in order to extract extra concessions. And it is true that there seems no more present substance to the threat than a red-washed website and a brand name, not even trademarked. On the other hand, never underestimate the power of the irrational. Especially when it is deployed by a gifted and demonically driven entrepreneur. Civil aviation may be wracked by recession and rising fuel costs; it may be saturated with low-cost airlines. But that does not necessarily mean Stelios’ bluff will be called. He probably has the family resources to remain “irrational” long after others have ceased to be solvent. Where most (especially left-brain City analysts) see sector cul-de-sacs, entrepreneurs see opportunity (step forward Philip Green, Richard Branson and a host of others) and are prepared to back a hunch. 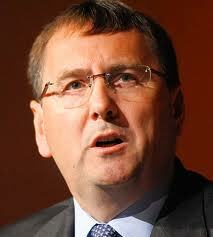 Besides, it may not be a new airline he is planning: merely a radical repositioning of an existing operation. As Paul Simons – who knows a thing or two or about airlines; he’s even tried relaunching one – points out, there are still market segments other than the low-cost sector worth targeting, particularly at the upper end of the social scale. What, however, makes me reasonably confident that Fastjet is not simply an extravagant corporate warfare stratagem is the irreparable loss of face involved if it were revealed to be so. That really would make Stelios look like a spoilt rich kid who has thrown all his toys out of the pram. 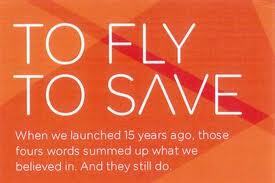 For that very reason Easyjet and others should be wary of writing off Fastjet as an empty threat. The project may target a different sector of the market, it may well fail. But one thing we can be sure of: it will cause competitors some unwelcome turbulence if it ever heaves itself off the runway. Are tour operators, even – or especially – well-branded ones, ever fit businesses for public ownership? The recent martyrdom of Thomas Cook chief executive Manny Fontenla-Novoa in the wake of 3 profit-warnings in 12 months, an increasingly intractable debt burden and a pulverised share-price might seem an eloquent-enough reminder that the answer is no. If there is one golden rule with the City it is this: never disappoint. Serial disappointments lead to serious disenchantment. And serious disenchantment means penny-share status. Yet tour operators are custom-made to disappoint. Just when they appear to be getting it most right, they are almost sure to be going badly wrong. The first difficulty is that theirs is a market of extraordinary predictive complexity, requiring them to contract in advance for an indefinite number of flights and rooms in diverse foreign countries. In doing so they must take account of the cycle of the economy, the fluctuating cost of aviation fuel and the volatility of the foreign exchange markets. Small wonder that, in attempting to combine the skills of an economist, a commodity specialist and a foreign exchange dealer, they often screw it up, even in the good years. Second difficulty, most good years aren’t that good. Somewhere, somehow, nature is usually plotting to skew the best-made predictions of man, whether in the form of snow, volcanic ash, earthquakes, hurricanes or tsunamis. And where nature fails to surprise, you can be sure that man himself will step into the breach with some unspeakable act of terrorism or, to take a contemporary example, seismic political upheaval (step forward the Arab Spring). As if that were not enough, add sudden and unpredictable worldwide financial panic to the brew and stir. Third difficulty: tour operators like Thomas Cook inhabit a low-margin, saturated market in which too many are scrabbling for too little reward. Why this should be the case is never entirely clear. Perhaps because the entrepreneurial barriers to entry are too low, perhaps in part because of the destructive, levelling effect of the internet. Whatever, the sector is characterised by businesses which seem in perpetual financial crisis. And which sometimes – as in the case of Harry Goodman’s ILG , number two in the UK market in 1991 – go spectacularly bust. In this Darwinian struggle for survival, branding – despite the hundreds of millions of pounds annually spent by the industry on projecting a “trustworthy image” – comes a distant third to operational efficiency and febrile sales performance. Thomas Cook is a good case in point. Arguably, it is the best-known package holiday brand in the world. Certainly it is the most venerable, with roots that stretch back to the temperance movement in the 1840s, the heroic attempted relief of General Gordon at Khartoum in 1884, and the exoticism of the Orient Express in the 1890s. But what exactly does that brand stand for today? Is it British? Is it German? (The London listed company is majority owned by a German mail order group, Arcandor.) Is it Louise & Jamie Redknapp taking their annual vacation? Is it a lumbering UK mass-market organisation struggling to add a slick upmarket feel to its specialist international operations? The brand is all and, confusingly, none of these things. It has been held hostage to a desperate struggle for corporate survival whose twists and turns over the past few years resemble a kaleidoscope on speed. The complexity of its recent corporate history and ownership may be gauged from this Wikipedia page. 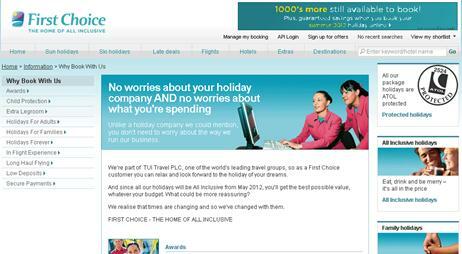 But the important point to fasten on is Thomas Cook’s 2007 takeover of My Travel – another listed company in deep financial trouble. 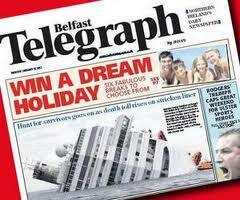 My Travel bought Thomas Cook market share, but at a fatal price. It was a pile-it-high-and-flog-it-cheap inventory – and a muddled and indebted one at that – just when Thomas Cook should have been moving in a different direction, towards more defined, upmarket offers. 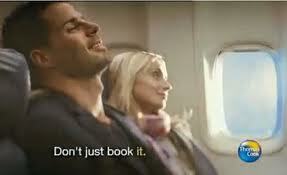 Unfortunately for many Thomas Cook marketers, they are not to be given a chance to do their stuff. All this inept hand-to-mouth corporate engineering designed to keep the City and shareholders happy will shortly come home to roost. The company must now embark on a Draconian strategic review (for which read bloodletting) if it is to avoid falling into the clutches of the private equity gang. Guess who will be near the top of the sacrificial pile, marketers? The trouble with urban myths is they have a habit of gaining credibility if enough people retweet them. No, not the one about Jemima Khan and Jeremy Clarkson. This one is practically cosmic in its significance. Facebook, they say, is perched on the edge of vertiginous decline and will never make the 1 billion users its avid investors are banking on for an IPO. The rumour appears to have begun with a plausible article, whose headline says nearly everything you need to know: ‘Facebook sees big traffic drops in US and Canada as it nears 700 million users worldwide’. I don’t want to become entwined in a discussion which has all the nit-picking allure of a symposium on the Arian heresy conducted by the early Roman Catholic church. So I won’t. The gist is that Facebook’s tsunami-like growth in developing countries conceals an actual audience decline of 6 million people in the USA during the month of May. So far as the statistics are concerned, they seem to have been robustly rebutted by Henry Blodgett over at Business Insider. His distilled point is that the so-called decline ignores mobile use, which in fact increases steeply as high school kids and students pack up for the long vacation. So investors and advertisers can relax. There’s no decline at all, just a bit of a hiccup. Whatever, it’s started people thinking – and many of these people seem to be older-profile Facebook users. A poll conducted by OnePoll among 1300 UK users for Marketing magazine reveals that a majority of over-45 year olds are considering exiting from Facebook. Youngers ones aren’t that chuffed either – more than a third said they had thought of quitting recently. This may indeed illustrate Facebook fatigue, but more likely reflects growing alarm about Facebook’s perceived abuse of privacy (58% said they were unhappy about Facebook’s use of personal information). 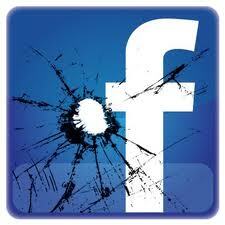 Either way, Facebook should be concerned (although it says it is not). Forget the statistics. What matters here is engagement. As growth inevitably slows in the more advanced economies such as the USA and Britain, so Facebook will have to expend more effort on creating greater dwell time, by launching new and more useful tools. Alas, these tools come at a certain cost, if they are to be of use to advertisers – they involve ever-more sophisticated manipulation of personal information.